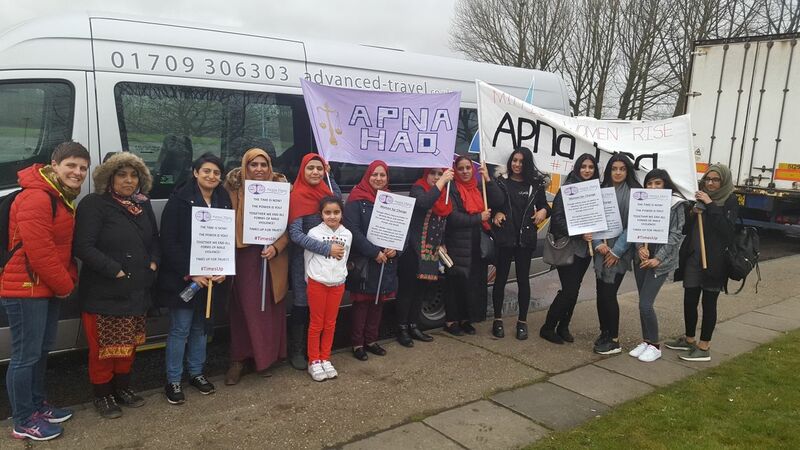 Apna Haq provide support services for black and minority ethnic (BME) women and girls living in Rotherham, South Yorkshire who are experiencing violence. To ask a question, or refer yourself or someone else to our services, please use the contact us form below and we will get back to you, or you can contact us directly on one of the following options. Telephone: 07824 767170. Please note that you can also use WhatsApp to contact us on this number. You do not need any credit as you can use Wi-Fi to send a message via WhatsApp. Please note we cannot provide our telephone service outside of office hours. If you are in danger, please call 999. If you need to speak to someone now, please contact one of the organisations on our ‘I am a woman needing support’ page. Address: The Spectrum, Coke Hill, Rotherham, South Yorkshire, S60 2HX. Contact us or request support using our form below. No, Just for myselfYes, I am contacting on behalf of someone else. They Need Support!They Have a Question. Can you provide us with their Address? I Need Support!I Just Have a Question. Can you provide us with your Address?